Need some commercial painting work done? 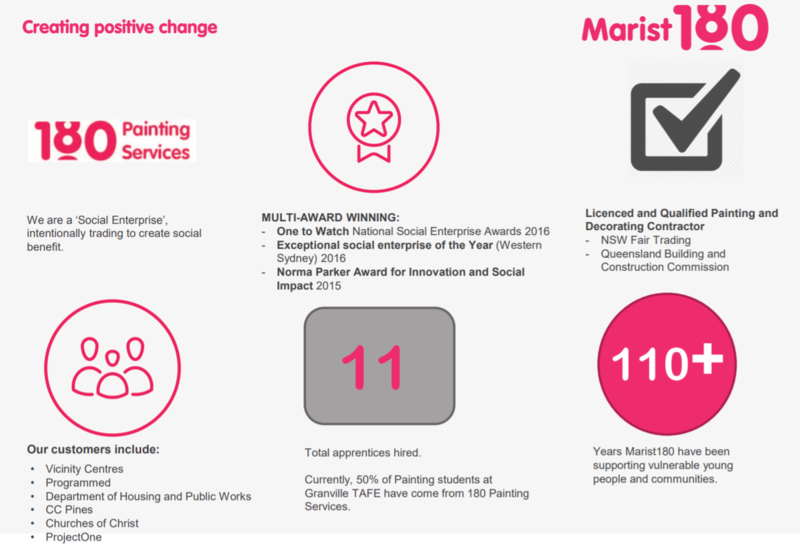 180 Painting Services is Marist180’s award winning social enterprise, providing high quality, cost effective painting services to government, non-profit and commercial customers in Sydney and Brisbane. Our primary purpose is to create employment for Aboriginal and Torres Strait Islander young people as apprentice painters; we believe that structured employment, expert on the job training, and well developed support systems can change the lives of our apprentices. Contact us for a quote to paint your home, office, or commercial premises. 180 Painting Services employs qualified painters and trains apprentices, 100% of whom are Aboriginal and/or Torres Strait Islander young people. 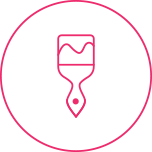 Our objective as a business is to provide outstanding residential and commercial painting finishes for our clients and partners whilst also achieving life changing social impact for local unemployed Aboriginal and Torres Strait Islander young people. This hiring policy enables our team to work alongside many large construction firms as sub-contractors where Aboriginal and Torres Strait Islander labour participation is a key performance target. 180 Painting Services is always interested in new business partnerships that support our mission and contribute to the delivery of successful projects. 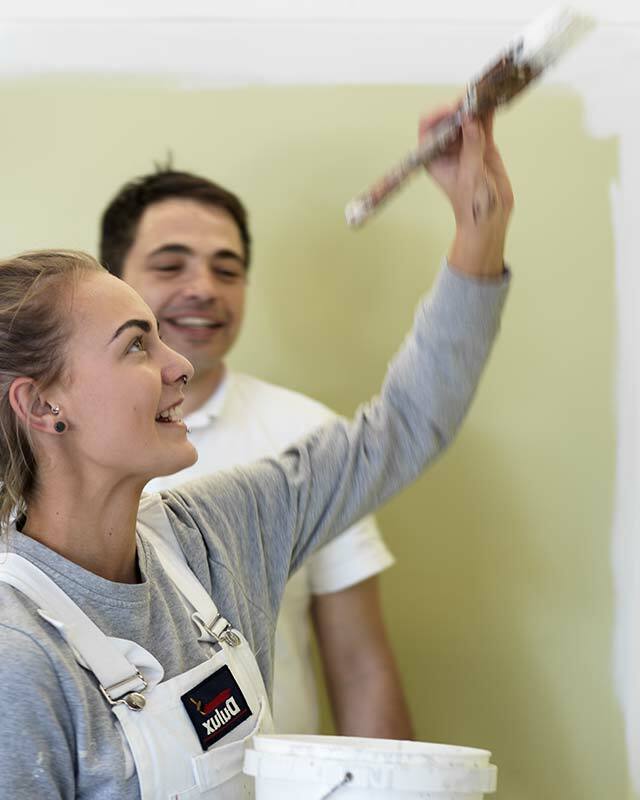 180 Painting Services recruits and directly employs each apprentice, putting them through an initial 26 week on-the-job, supported training program. This program meets first year apprentice training obligations. 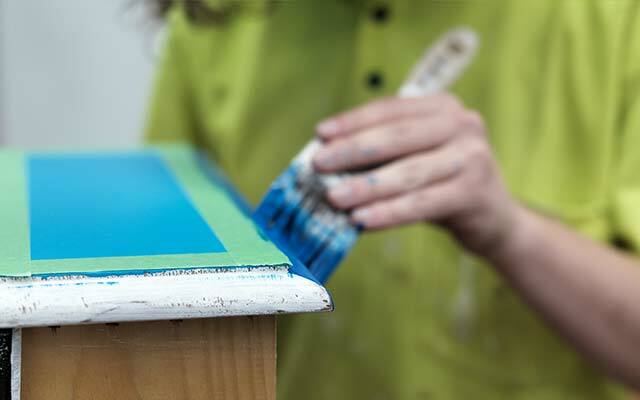 Once the young person achieves the appropriate skill level they are transitioned into full time employment within the Painting Industry to continue their apprenticeship, creating space for a new job seeker to enter the program. Since the enterprise began in 2015, 180 Painting Services has provided 11 Aboriginal and Torres Strait Islander job seekers with an apprenticeship – 75% of these young people have transitioned to a full-time ongoing employment opportunity and continue to attend TAFE and meet their training obligations. 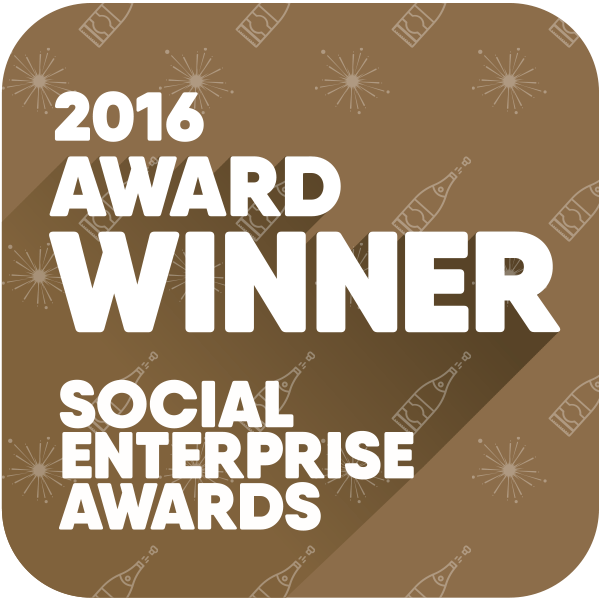 Our model is refined and scalable and we are seeking opportunities to grow our business. The unemployment rate for the Aboriginal and Torres Strait Islander population is 16 per cent, nearly three times the national unemployment rate of 5.8 per cent. 75 per cent of our employees successfully transition to long-term employment. 10 of our employees have been offered apprenticeships.